TheyWorkForYou: To ask the Minister for the Cabinet Office, what estimate his Department has made of the potential costs to the public purse of holding elections for the European Parliament this year, in the event that the UK remains in the EU after 22 May 2019. PoliticsHome: The Independent Group could be facing an embarrassing legal challenge after it changed its name to register as a political party. Electoral Commission: Vote Leave has today dropped its appeal and related proceedings against the Electoral Commission. The Star – Canadian intelligence agencies have identified persistent foreign state-backed cyber campaigns against government and civilian targets that have some officials worried efforts to interfere with this year’s federal election have already begun. BBC News – The Independent Group (TIG) of MPs has applied to become a political party to take part in European elections in May if they go ahead. They Work For You – The noble Lord and I are at variance on this. He is, in fact, at variance with every other member of the committee too. They Work For You – The Electoral Commission works closely with the Information Commissioner and others in making sure that our rules are followed, but the Electoral Commission, in terms of its responsibilities, continues to urge the Government to introduce legislation to strengthen its sanctioning powers for future referendums and elections. They Work For You – My hon. Friend raises an important issue. The Electoral Commission’s regulatory remit is confined in law to UK-based parties and other campaigners. No, no, no, no, no, no, no…yes? 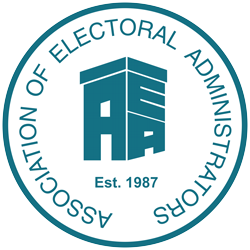 ZD Net – The Joint Standing Committee on Electoral Matters is tasked with overseeing the Australian electoral system, specifically the activities of the Australian Electoral Commission (AEC). © AEA 2018. All rights reserved. Registered Office: Harance House, Rumer Hill Road, Cannock, Staffs WS11 0ET.